Hello! Thanks for joining me again for another blog entry. I hope you find these to be interesting. I wanted to share my experience when I first came to Los Angeles. I remember when I first came to Los Angeles. I went to an acting academy. I was alone for the first time and had never been on my own in an apartment, with roommates at that time. There were no dorms and it was recommended to drive a car. I remember learning about the buses in LA and how even though my apartment was five minutes away, it would take more than an hour to get there if I didn’t drive. So I drove my car to Los Angeles and started a journey of self-discovery. I was 19 and hard-of-hearing. I questioned if people would accept me or not. I was nervous and anxious. In my head, I had convinced myself that as time went by at this acting conservatory, my hearing loss would disappear and I would be normal. There would be no difference. With my hearing loss, I always felt out of place in society. I grew up with a partial hearing loss that affects my speech, and there was no rulebook as to how to navigate life with differences. What’s interesting is even though this hearing loss has been life-long, I have had moments where I appeared to remember easier times before the hearing loss. This is baffling to me as I have had hearing loss, either ever since birth or shortly after birth. I have considered why I have such memories, and I think it might have to do with a combination of wishful thinking and also perhaps growing up presented different challenges and perspectives that were new to me compared to when I was younger. It’s quite interesting how the human mind works. The grieving process with any sort of difference is similar as we must mourn not being like other people who don’t share the same struggle, and then we learn to accept. However, as I’ve grown up, I’ve seen how similar we are in sharing life experiences that are not all rosy or black-and-white. Our perspectives shift with these experiences. One thing I will say is that when I have talked to my friends as they share their vulnerabilities, I feel an organic connection. I’m able to relate with my difference. Even though our experiences are different, we can support each other. 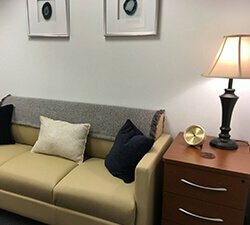 I have continually been in personal psychotherapy because I find it to be useful as I navigate the world with a hearing loss as well as being gay. I am so curious and interested in making new discoveries that will create new insight. I had an excellent LGBT-Affirmative psychotherapist who worked primarily from the lens of narrative therapy. She was very accepting and in line with narrative, allowed for me to share my experience in my way that was not limited by anxiety about having differences. I was able to reclaim my power and be myself. The therapist held a secure space and we worked collaboratively. I was so happy to be able to openly share things without being boxed in by psychotherapeutic lingo. That being said, interpretations and lingo are also incredibly helpful. But this experience was what I needed at that particular time as I felt there were a lot of “shoulds” that I needed to follow, and I wasn’t sure which path to take. Every week, I would come in and be greeted by this affirming presence. My being gay wasn’t merely tolerated, rather it was affirmed as my own experience and it wasn’t viewed as a negative difference. Therapists need to be aware that when they merely tolerate differences, it can have the paradox effect of making the person feel ashamed or shamed. The reason is that when sexual orientation and the struggles that come with not being straight aren’t acknowledged, then the person is left wondering what the therapist thinks. 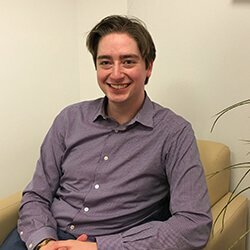 Validation can be so important and it took time but I found a therapist that validated the unique experiences of being gay. All theoretical orientations have been useful to me. They each have pros and cons. It was so clear how in our work together the space and safety made for a match that improved my understanding of myself and led me to greater acceptance as a gay man. I recently watched August (2011), and I’ll start out by warning you that I might spoil parts of the movie while I describe how I felt watching it. So, an ex-lover, Troy, comes back home from Spain and gives Jonathan, his former lover, a call. Their relationship didn’t end smoothly as Troy left suddenly without much consideration for Jonathan. Now, Jonathan is in a relationship with Raul. The movie is overall quite nice, except for the fact that the characters aren’t that likable. As Troy and Jonathan get together again behind Raul’s back, it’s unclear what Raul wants and his overall feeling towards the relationship in general isn’t that positive. Plus, Troy seems infatuated with himself and has no feelings of regret reconnecting with Jonathan. One isn’t convinced that their relationship is real or a performance by Troy to show he can win Jonathan back. If this had been written a bit differently so that Troy seemed more committed to Jonathan then perhaps it would have been more captivating. Jonathan’s betrayal of his boyfriend is not as intense as one might expect. Instead, I became a bit bored with the premise and doesn’t care as much as for their relationship given the existing unattractive ambivalence between Jonathan and Raul. This is definitely a film to watch, however, as it is one of the better LGBT-themed films out there. If nothing else, it does make you wonder about the intention of the characters – as this isn’t always made entirely clear. I made some assumptions, but I will give credit for the ability to make multiple interpretations as to what is happening. Not all of it is as clear cut as my review might imply. It would be nice to have an ability to watch films and discuss them. I wonder if there’s a nearby LGBT movie club. I will say that I’m very impressed with the mainstream streaming video services, such as Netflix, Amazon, Hulu, etc. for recognizing the importance of LGBT cinema and TV shows. There are other services that are LGBT-specific and require a monthly fee, but I choose to subscribe to services that have the biggest catalogs in general. It is nice, however, to be able to have LGBT-themed evenings whenever I want to! There are a lot of lower budget LGBT films, but that doesn’t mean they are bad. You sometimes have to sort through the bad to find the gems. I will say that in browsing LGBT films, there have been overlooked films and films that despite their good reviews are not my favorites. Thanks to all those filmmakers out there for continuing to write for LGBT people. Without you, scripts wouldn’t exist to be made into films that we relate to. 2018 UPDATE: Another 2015 post that was unpublished until now. I hope you enjoy! I certainly count my cochlear implant as one of my blessings of the past year. It continues to be a journey that’s hard to write about as I don’t quite understand it myself. That may seem odd to hear, but it is the truth. The electrical stimulation has enhanced speech understanding, but there have been many moments where I don’t know if I’m hearing as optimally as I “should.” Naturally, I consult with my audiologist, but it’s a reminder that devices like cochlear implants do not restore normal hearing. They become a tool to help the person with hearing loss. But like with any medical device, there are annoyances. I have experienced multiple short periods where the implant has been louder than optimal – requiring a reprogramming of the implant. I have a wonderful set up now, where if it becomes too loud I switch the program to a less intense one and am able to finally be less worried about what will happen. I used to become very worried during these moments where the stimulation would sound too loud… thinking “oh no! It’s not working!” But I’ve learned with time that everyone’s ears do odd things with these implants. The brain can do anything it wants! It’s thus no surprise that for a week the brain may stimulate the ear too much and thus cause adjustments to need to be made. This makes sense, especially since my auditory nerve’s high frequencies have not been stimulated in ages! But I work with my audiologist consistently and it’s possible these periods of varying stimulation will become less frequent as time goes on. I read on forums how people still adjust after years with the cochlear implant. Their hearing improves after a few years. It reminds me again that this journey never ends. The experience of change continues. I’m still saying “oh, wow, a new sound I haven’t heard before” now and I know that’ll continue. There was a video with mild background music (air drums) that I wasn’t able to connect to at first as this “sound” didn’t make sense. It turned out it was air drums, but it was agreed with the person who helped me that it didn’t make sense to use that as background music for the scene. So much for logical thinking helping to connect new sounds! I also continually advocate for my needs… much better than I did before the implant. I’m becoming less self-conscious, although I continue this process as well. I remember that I still become fatigued if I have a long day of listening in class and most importantly that it’s OK to feel tired! 2018 UPDATE: Another post from 2015 that was sitting in my drafts unpublished. As I’ve gone through the process of receiving a hybrid cochlear implant, I’ve had the privilege to talk to other people considering the hybrid. In the beginning I was very much inclined to say to just go for it and have it change your life! However, as I’ve gone through the process, I realize how much time, effort, and positive thinking must be present in order to remain sane in the journey. I already consider my device a success. I have a long way to go in terms of auditory rehabilitation, but I have improved so much since the beginning. I know that because I sought out formal auditory training and am able to receive that feedback. Other people who don’t have as much support as I do with training, family, and friends, may very well have a much harder time getting through this journey. There are many times of worry, what if’s, etc. that can pollute the mind. However, continuously receiving support throughout the journey and having the time to do so is so vital. Thus, when interacting with someone who is considering the hybrid, I consider them as a whole and that includes listening to their unique story as well as what their current life looks like in terms of ability to give commitment. Also, I would never say to go ahead straight away for someone who is worried about the procedure without the reassurance that they are navigating that aspect healthfully. And to be honest, I believe it’s better to wait rather than rush this huge procedure. When I decided to do this, I was certain from the beginning that I needed more assistance and this surgery was the way to go. I was able to arrange everything so that I had extra time to devote to training, fatigue, and the processing that goes along with such a surgery and the after-care. I’m so glad I gave myself the time. The adjustment is emotionally and physically tiring. I have no regrets!